Each kit includes fabric stamped with an original, handmade design done in black ink, a needle, and a guide to basic stitches. 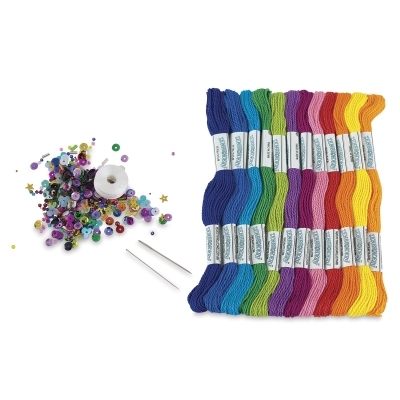 You choose the materials and stitches you want to use to decorate the piece. ™ Design Works is a trademark.™ Zenbroidery is a trademark.